I have a fun and easy tutorial for you today. 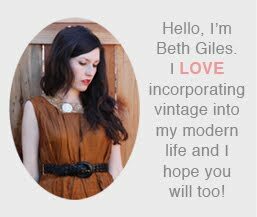 I am always trying to think of new ways to redeem some of the damaged vintage pieces I come across. Here is how I made some fingerless gloves in less than a half hour. I like the bling that was added to the gloves. What a great idea! Those are really beautiful! What a great idea. You are so brave, they are gorgeous but I would have been terrified to mess up. They are so beautiful and you make it look so easy, thanks a lot for sharing. If you have time please check out other blog, perhaps you'll be inspired to make some more?